Jan is a Colorado native, with 35 years of financial services experience. Jan's focus will be to utilize her skills, qualifications and desire to deliver exceptional client service as Practice Manager. During her tenure in the industry she has worked in a number of capacities serving as a Registered Assistant, Investment Associate and a Financial Consultant. In addition to successfully completing two broker trainee courses over the years she holds the Series 7, 63 and 65 securities registrations and will soon be studying for her insurance license as well. 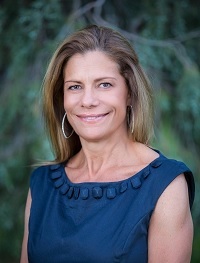 Jan earned a Bachelor's Degree in Finance from the University of Colorado, Boulder. In her free time she enjoys traveling, boating, working out and spending time with her partner Bob and their 2 dogs Lewis & Clark. She has a passion for helping others outside the workplace as well and enjoys volunteering her time and energy whenever possible.